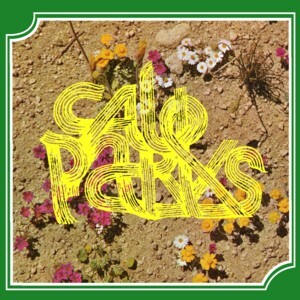 "In between takes for the new Aloha record, Cale Parks recorded these songs. We find an intimate but intricate bedroom ambient electronic sound. All keyboards and mallet instruments, the tv is on in the background, the cat walks through the room meowing occasionally. Relax, and wait for the coda. Cale has spent some time here and there. He plays fulltime in Aloha(Polyvinyl), and has recorded and toured with CEX(TigerBeat6/Record Label) and Joan of Arc(Perishable/Polyvinyl). 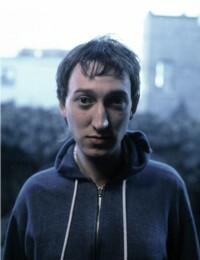 In addition he has lent his hands to a number of projects, Pit Er Pat (Thrill Jockey), Chin Up Chin Up (Flameshovel), Owen (Polyvinyl), Love of Everything (Record Label/Suicide Squeeze), among others. He's a natural. In the last year, Cale split his time between several cities where he wrote all of the songs heard on this album. Recorded on borrowed four-tracks and computers, as he slept in borrowed beds, somehow, all of the songs feel comfortable, at home."